The Ministry of Natural Resources (MNR) has undertaken the latest in a series of organizational changes that the Ontario government is calling “transformation”. In reality, they are service cuts. The ministry’s cuts for 2012-2015 follow downsizing mandated by the 2010 and 2011 Ontario budgets. MNR is a ministry that is greatly dependent upon contract (fixed term) staff. Fixed term employees have long been used for clearly seasonal tasks such as forest fire fighting and Ontario Parks summer staff. In addition, though, the ministry also uses contract staff to cover short-term vacancies and project-type staffing needs. In the mid-1990s, MNR comprised about 5,000 full-time staff. In the summer, that staffing complement would often swell to 7,500 or so. Due to cuts under the Harris government, notably during the 1996-1997 fiscal year, most field offices saw staff cuts of 40 to 45 per cent. The vast majority of these cuts were full time equivalents (FTEs) from the permanent staffing pool. After the Conservatives were defeated, shortly after the turn of the century, staffing reductions continued but there was increased staffing at the regional and head office levels. To illustrate this, I put out a press release in 2008, as part of the “Save the MNR” campaign, that detailed a total of a 70 per cent staffing reduction (since 1996) in local (district) MNR offices. In response, when questioned by the media, the Minister’s Office indicated that, in total, there had been about a 1 per cent reduction in staff across the province. The difference, of course, reflects the increased staffing regionally and provincially as well as a good deal of “creative accounting”. Management often “fudges the numbers” by including contract staff among the FTE counts for certain purposes and not for others. The result of this shift in staff from the “field level” to the regional and provincial levels resulted in large-scale demoralisation of staff. Roughly by the start of this decade, the MNR staffing complement was about 3,500 FTEs with some 800 to 1100 seasonal staff, depending largely on the severity of the fire season. In the 2009 budget, Finance Minister Dwight Duncan announced the reduction of the public service by five per cent, or 3,400 jobs, over the next three years. This apparently worked out to a cut of 188 positions at MNR. The Ministry eliminated vacancies rather than lay off employees. However, this permanent cut to staffing created huge workload issues for the remaining employees. These staff cuts were required to be completed by March 31, 2012 and it appears they have been. 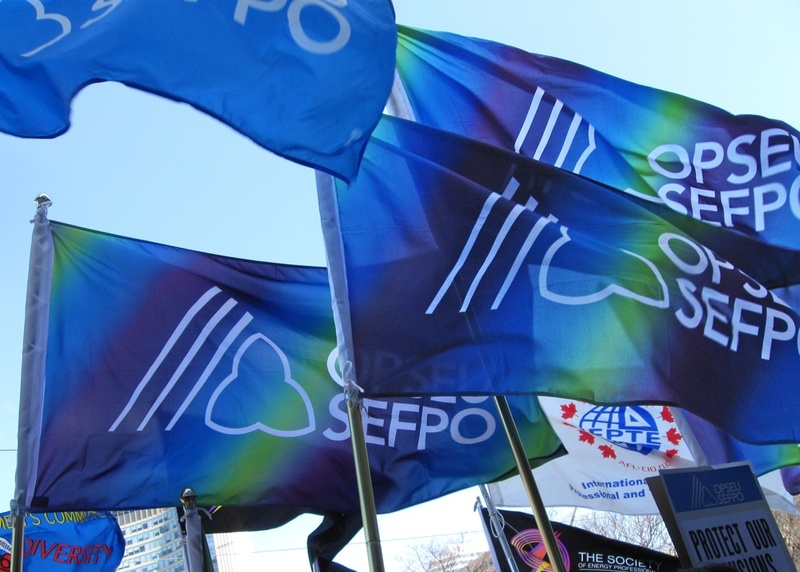 OPSEU’s records show that there were fewer than a half dozen surplus notices issued in MNR for the fiscal year ending March 31, 2012.